Taking story lines straight out of other films and blending them together, The Samaritan is one strange and confusing film, that will really turn people off. While watching this film, one could easily identify elements straight from films such as Shaft, Payback, and Oldboy, making this film anything but original. Samuel L. Jackson stars as a con man, who has just been released from prison. He's been in there a long time and wants to go straight, but his partners son is determined to make sure that doesn't happen. Samuel L. Jackson is a legendary star that can carry any film he stars in. 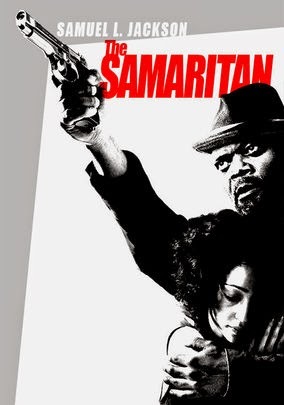 I love his personality and will watch anything he's in, I even sat through Black Snake Moan, but The Samaritan makes even less sense than that did. The story is just completely all over the place, jumping from one thing to another, without resolving any of the issues it presents. Often times films like that will come together in a terrific ending, but the end of the Samaritan just leaves more questions than answers. Jackson is of course very solid and shows his wide range or ability and emotion, but the rest of the cast is just awful. Independent films often times only feature one person of recognition, but when you're releasing a film like this one, which is heavily advertising that star, you've got to give them something to work with. I honestly feel like some of these people were just pulled off the street and asked if they wanted to be in a movie, their inexperience is that obvious. When you add to that a confusing story line, that is full of slang and innuendo, the result is something that is unwatchable. The biggest star in the world couldn't have made a film like this work.The Samaritan is a rare instance where I wish I had listened to my fellow reviewers and just let this one pass me by.